In order to run a profitable Real Estate Brokerage, you need to know and understand the metrics that impact the bottom line. For deeper insight into the Gross Profit per REALTOR® Objective refer to my blog posts titled, “GPPR – The Most Important Metric of Your Brokerage and Why it Can be Elusive”, and “A Profitable Brokerage Starts with the Clarity of Your Vision and Goals“. Will they achieve the objective necessary per REALTOR®? Given many plans have variable fees, i.e. percentage of gross, do you know how much Gross Commission Income (G.C.I) is necessary to achieve the objective on each plan? Do you have minimum production standards set for each plan? Because many plans are commission percentage based, it is important to know how much G.C.I. a REALTOR® needs to achieve within 12 months in order to meet the objective. It makes no sense to offer plans that do not achieve the objective. Let’s take a closer look at Principle #1. At The Profit Centre we created a powerful tool called The Compensation Plan Calculator. It lays out different options and scenarios side by side in order to vet out what works best to achieve your objective. Request free access and a complimentary walk through at info@theprofitcentre.com. You do not have commission splits, you have compensation programs. Commission splits denote price and compensation programs denote value! It is important to decide who you are and what value you bring. It is fair to say that all brokerages are not alike even within their own brand. Just like a real estate agent on a listing appointment needs a strong presentation, a broker also needs a substantive recruiting presentation. The purpose of the presentation is to quantify your points of distinction. Ultimately, with the absence of value (or perceived value) price is the only issue. Compensation programs include all the value that the brokerage brings to the table in order to help an agent become more successful. Your value proposition needs to be clearly identified so that it is clear you are worth more than your competitors because you provide the services necessary to increase their bottom line. 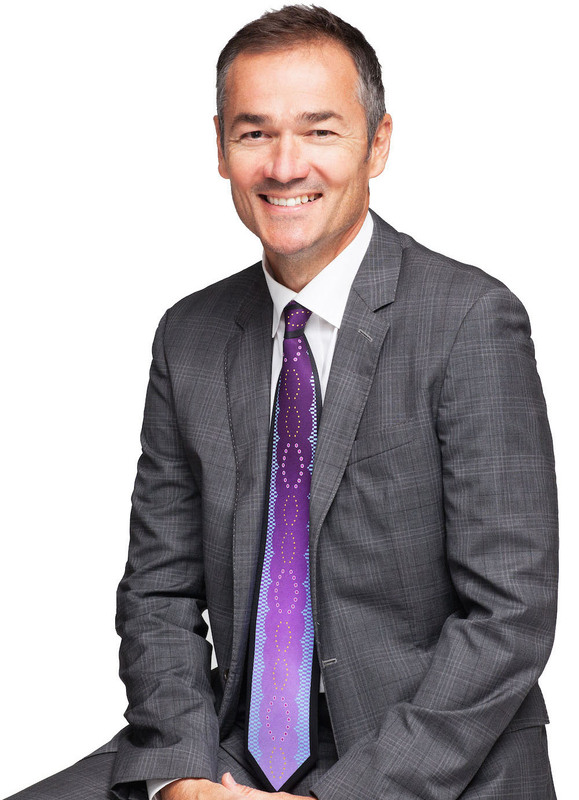 One of my favourite questions to an agent is, “What’s more important to you, how much money you save or how much money you put in your pocket?” If an agent does not see the value you are offering it may be that either a) you could better articulate your value, or b) that agent is not the right fit for your organization. If you compromise the integrity of who you are and what you bring to the table, you may compromise your financial model and start to water down programs. Offering special deals can hurt more than we think. 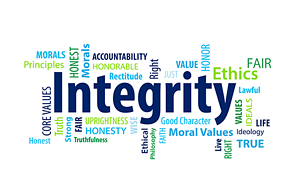 Integrity lies in the ability to treat everyone fairly. Confidence and integrity come from sticking to your guns. Be proud of who you are, what you are offering and be willing to say no. The tail starts wagging the dog when we are not clear and firm on our position. 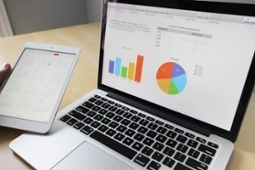 Consider the fact that providing services such as training is a costly undertaking. If an agent does not see value in it for themselves then it will be difficult for you to justify your price points. That being said, are you catering to everyone or is your focus on those that invest in themselves to be more successful. Agents that are price focused tend to be the ones that cost you the most in time and energy. A coach of mine said to me years ago, “show me your lowest producing agent and I will show you your minimum production standard for the company”. Ouch! It’s one thing to say we have a standard, but it’s another thing whether we uphold it. Nothing discourages more than compromising our values. We will discuss the next eight principles in subsequent blog posts. This is Peter Mueller signing off wishing you all a profitable day! 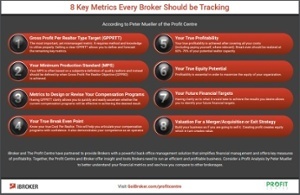 iBroker, the simplified back office management application powered by GryphTech, has partnered with Peter Mueller of The Profit Centre, a leading business evaluation company. This partnership offers Brokers the real-time insights needed to run an efficient and profitable business by bringing together financial, operational and analytical tools. Visit goibroker.com/profitcentre to learn more. The clarity and commitment to your vision and goals will ultimately pave a path to your destiny and your success. The problem is that typically they are not clearly defined. I have discovered that the typical broker was a successful REALTOR who would never consider compromising their commissions to a potential customer. They would have a strong listing presentation that would identify their points of distinction. They take time and effort in a strategic manner in order to validate their services to command the fee they feel they are worth. One of the methods is to prove that by listing their home with them, the customer would net more money in less time than their competitors. The disturbing part is that many of them did not take that skill and apply it to their brokerage business. When I interview brokers internationally and ask them what their goal and their vision is, I rarely get a good response. Even worse the goal seems to always be defined by how many offices and REALTORS they want to have. That is one of the worst ways to define your goals. In business and in life there is a principle that says “What you measure gets improved”. If your goals are only defined by volume numbers you are setting yourself up for failure. The most important number to define is Profit. When asked the question “What is your profit goal?”, many do not have an answer. The problem is the ability to forecast the possibilities. One of the first questions I ask a broker in a consultation is “What is the potential of the office?”. Potential is defined by the size and demographic of the marketplace, how many realtors work in that demographic, the quality of the REALTORS and the expectation of how many we anticipate hiring over time. This is the first step in defining what the end or 100% potential looks like. Then, we determine a conservative answer that we can reverse engineer by looking at the end state, or in other words, by looking at the opportunity as if we are already there or at 100%. Lets say that the conservative answer to the above question is 30 REALTORS maximum. This is the starting point. This becomes the guide in order to define how much space we want and need and to start budgeting revenues and costs accordingly. Let me first explain the 3 factors in production. Factor 1 – Fixed expenses. Includes: rent & occupancy/ dues & subscriptions/ licenses & insurance & IT expenses. Factor 2 – Variable expenses – Includes: owner-manager salary/ employee salaries, office supplies and expenses. Based on our extensive research and data we can offer some benchmarks in these areas. It is important to understand what a benchmark is. It is not an average nor a best practice. A benchmark is a reasonable metric that can be used as a guide. Every area or marketplace of course, has it’s differences. In lieu of knowing your regional metrics, benchmarks can be used as a base to compare to. The following is a good base. Using the benchmarks mentioned, if the costs per REALTOR is $8,500 per year and you want to make $5,000 profit per REALTOR per year you would need to earn $13,500 in Gross profit per REALTOR annually on average. Now that we have this level of clarity it is simple to create your vision statement. To build an office with 30 REALTORS averaging $13,500 in Gross Profit Per Realtor, paying myself a benchmarked management salary of $60,000 a year and having a net profit after expenses of $150,000 a year to create approximately $500,000 of equity. Now that’s clarity of vision! That’s a clear goal based on volume and return on volume. How many did not even consider the fact that they are creating equity when building their business? Clarity gives you the inspiration in order to do the hard work. 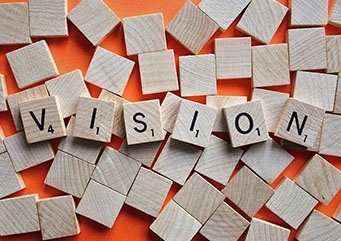 Reading your vision statement daily helps you focus on what’s most important. “Changing lives by guiding our clients to profitability”. When you are profitable you have the freedom to be more generous with your time and your heart! 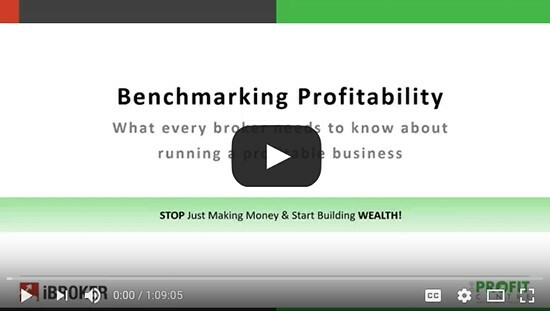 This month, Peter Mueller, CEO of The Profit Centre, and Carlos Matias, CEO of GryphTech and Creator of iBroker, held a popular Broker webinar to share what every broker needs to know about running a profitable business. Leveraging decades of industry experience, they discussed how to analyze financial and operational metrics to effectively inform business strategy and how to implement a killer strategy proven to increase profitability. If not, watch the webinar to learn why you should. How Clean is the Data Upon Which You are Basing Decisions? In order to run a profitable Real Estate Brokerage, one needs to know and truly understand the metrics involved in running one’s business. At the Profit Centre, we strongly believe that THE most important metric in the brokerage business is Gross Profit Per Realtor® (GPPR). It is instrumental in defining your Gross Profit per Realtor® Objective (GPPRO), a fundamental business metric. Through my experience working with over a thousand brokerages in varying capacities over the last ten years, the ability to access key information and more importantly clean information is critical in making sound financial and operational decisions. As part of our service offering, we often recommend complementary services that are necessary in order to operate at a high level. One of these is iBroker by GryphTech, a powerful back office management solution. We highly recommend iBroker to provide the clean foundation necessary to create profitability.